What do GMP and GACP Certifications Mean for the Medical Plant Industry? Valoya LED Grow Lights > Blog > What do GMP and GACP Certifications Mean for the Medical Plant Industry? Cultivating Cannabis sativa L. for medical uses means its cultivation must abide strict quality standards such as the GMP (Good Manufacturing Practices) and the GACP (Good Agricultural and Collection Practices), either already now or in the near future. These outline minimum requirements for growers so that they create high quality, consistent products which will later pass authorization by agencies that are in charge of licensing the manufacture and sale of pharmaceutical products. The requirements of GMP concern handling of the products, cleaning of the machinery used to make it, packaging, quality assurance etc. while the GACP requirements outline guidelines for cultivation practices more specifically. For the end-user of the product, these guarantee that it was produced in a sterile, safe environment, that the product is always the same, regardless of the production batch and that it is essentially safe for consumption. Is GMP Certification required for the medical cannabis industry? It is not yet enforced in all countries where medical cannabis cultivation is legal but it seems that it will become the norm. This is due to the fact that cannabis is considered a drug and thus must abide the same regulations that govern the pharmaceutical industry, GMP certification being one of them. Even if not yet enforced, it might be the reason for some lost sales i.e. a way to differentiate one’s product offering and position it as superior to the non-GMP produced cannabis and it’s derivatives. What does GMP mean in technical terms? Below is a brief summary of the requirements of GMP. For the complete resources please click the link at the end of this document. The staff of the cultivation facility should be adequately educated for the jobs they are performing as well as trained in the GMP requirements. The number of people interacting with the product should be reduced to the needed minimum, their performance should be reviewed periodically and a record of training is to be kept outlining that all needed trainings have been covered, especially when it comes to staff that handles toxic, highly active, infectious or sensitizing materials. should ideally be high quality equipment that is not prone to malfunctions. If the equipment needs to be fixed, the use of temporary solutions such as tape should be avoided. Maintenance records are to be kept for all the machinery. A sanitation program is to be developed which will be available to all staff members involved in the handling of the product. The sanitation program outlines the frequency and methodology of cleaning and it is part of the grow’s SOPs (standard operating procedures). 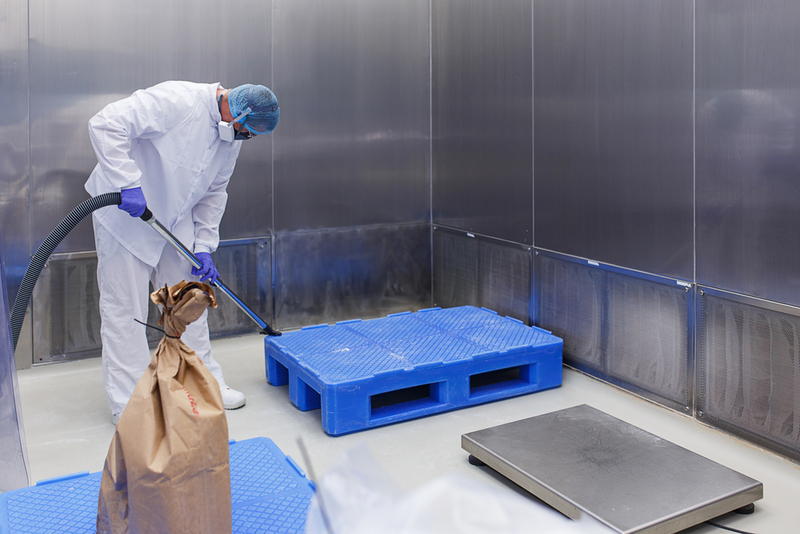 The cleaning should disinfect the production areas and the equipment. All the residues of the cleaning substances are to be removed thoroughly and a record of sanitation is to be kept which can clearly demonstrate the sanitation practices at the grow. the luminaires must be of high quality so that their light output does not decay quickly and dramatically, affecting the yields. This also concerns the wavelength distribution of the spectrum i.e. the spectrum must remain without significant changes throughout the luminaires’ life so as to ensure consistent yields and cannabinoid expressions. This disqualifies HPS lamps from being used in GMP / GACP compliant cannabis grows. Their light loses intensity rapidly creating differences among growth cycles. Overall, HPS lamps create poor light uniformity resulting in varied crop. In the case of the bulb inside the HPS lamp breaking, the entire room would be compromised as the sodium and mercury which constitute the bulb interior would get dispersed all over the canopy. When it comes to LED technology, things are not any simpler. Most LED luminaires have deep fins which are used as a heat dissipation tool. While good at removing excess heat the lamps produce and directing it upwards and away from the plant, these are very difficult to clean. One would need a special set of tools and a great deal of time to get inside the ridges and remove the dust particles and pathogens from within. Even after that it would be hard to be absolutely sure that these have been properly sterilized. On the other hand, LED luminaires with active cooling such as fans, create other challenges. Naturally, fans cannot be completely enclosed as they need to circulate air. This means having a device that is even more difficult to clean than a passively cooled LED i.e. one with deep fins. Furthermore, the quality of spectra inside LED luminaires, while better than HPS, vary significantly from manufacturer to manufacturer. With some manufacturers parts of the spectrum will start to diminish already after 10000 hours of operation, starting with the blue peak and other shorter wavelengths resulting in taller plants with less cannabinoid accumulation (similar to HPS grown plants). This is dependent on the quality of the LED chips the manufacturer uses. The best quality chips will sustain the same spectrum quality with minimal variation over its entire lifespan. Additionally, in multitier grows, LED luminaires are often placed really close to the canopy. While a great strategy to minimize the loss of precious photons, it can easily happen that the plant has contact with the lamp. In that case we have to be sure that the lamp is made from non-toxic materials. How to Select a Lighting Manufacturer for a GMP Compliant Grow? If the lamp is mostly smooth and appears to be sealed shut it means you will be able to take a sterilization chemical soaked cloth and sterilize the luminaire in one swipe. If it has fins and other kinds of deep crevices you will need much more time and in some cases it will simply be impossible to do it to the GMP standard. Some materials that make up an LED luminaire such as silicone, cannot withstand all cleaning chemicals. Ask the manufacturer if they have awareness of how all the components their product is made from react to typically used cleaning chemicals. In an ocean of LED companies which seems to be getting bigger it is hard to make sense of the differences between the companies. Ask your lighting supplier for a quality guarantee of their spectrum outlining the permitted variations in it over time and across production batches. If they do not have it, chances are they have not thought about it. Do no settle for the industry standard ’50 000’ hours of operation claim as this one is typically copied from component suppliers or simply taken as a standard for LED chips without any data to back it up. Depending on the quality of the LED chips they use some will deteriorate faster than others. A good manufacturer conducts ‘light decay’ tests and can show you data on how the spectrum actually looks after 10 000, 20 000 etc hours of operation. Minimal variation over time is inevitable and will still result in consistent yields and cannabinoid profiles. You will however find that most manufacturers simply do not have this data on their luminaires. Choose the ones that do. Ask your lighting manufacturer for references of other GMP compliant grows they have sold to. It does not necessarily need to be a cannabis grow. If your lighting supplier has earlier worked with the pharmaceutical industry or high level academic research, chances are they had to carefully develop their product keeping all GMP requirements in mind. What About GACP and the Medical Cannabis Industry? GACP (Good Agricultural and Collection Practices) is a set of guidelines covering areas of cultivation (from seeds and propagation material), collection, harvest, processing, packaging, personnel, equipment, documentation and others for the sake of satisfying the minimum required quality assurance in plant cultivation. 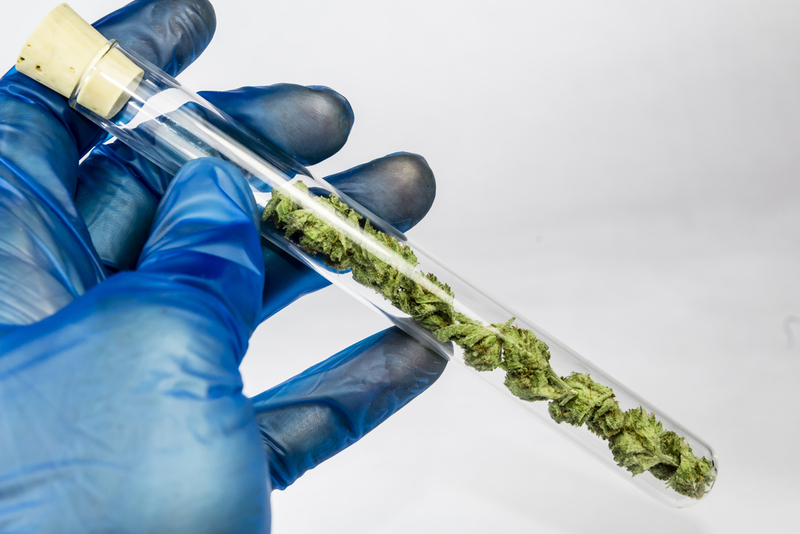 Together with GMP these guidelines completely define the entire process from seed to sale of all plants with Active Pharmaceutical Ingredients (APIs) to which cannabis belongs to. In simple terms GACP states that the personnel should be adequately trained, that cultivated plants should be grown observing all local regulations on fertilizing, storage, handling, packaging etc and that the whole process should be transparent and documented. The ultimate goal is bringing a product to the market that is consistent and safe for consumption. Cannabis is considered a medicinal plant regardless whether cultivated for recreational or pharmaceutical use. Because of this growers should abide both the GMP and GACP guidelines even if they are not yet enforced in the territory where they have their operations. Before it becomes enforced it will be a unique selling point for growers who choose to follow all these guidelines and once it does become enforced, those who got an early start will be less prone to mistakes that could render their product useless in the market or even worse result in health complications of the end users and an inevitable PR crisis and brand image deterioration. Valoya is a manufacturer of high end LED grow lighting solutions for cannabis cultivation, crop science and vertical farming. In the past 10 years of operations we have earned customers in 51 countries including 8 out of 10 world’s largest agricultural companies and some of the most known research institutes in the world. We would love to discuss GMP requirements with you and show you the work we put into designing our luminaires to make sure they are compliant and that the end product you will be bringing to the market will be safe for human consumption and of overall superior quality.